Chauncey Spencer (1906–2002) was an African American aviator born in Lynchburg, Va. His mother was the Harlem Renaissance poet Anne Spencer. Spencer saw his first airplane in flight at the age of 11, but after finishing college, despite his family’s fame and respect in the South, no one would give him flying lessons in Lynchburg. A family friend, Oscar De Priest, the first black Congressman since Reconstruction, suggested that Spencer move to his home district in Chicago to take flying lessons. In 1934, Spencer joined with a group of African American aviators in organizing the National Airmen Association of America (NAAA). Working as a kitchen helper in a Chicago restaurant, Spencer used most of his weekly wages for flying lessons. Later, he and a handful of companions bought an obsolete airplane and set out to repair it themselves. Two years after that, in 1939, he and fellow NAAA member Dale Lawrence White flew a rented Lincoln-Paige biplane on a 10-city tour that started in Chicago and ended in Washington, D.C. 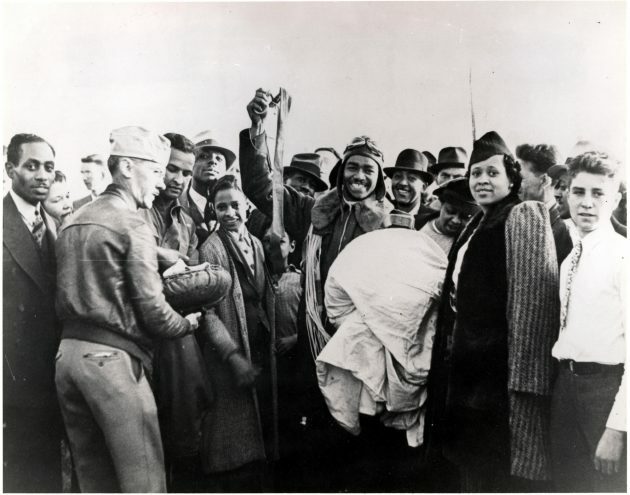 The notoriety of the Spencer-White flight in the black press contributed to convincing Congress to include blacks in the pre-World War II Civilian Pilot Training Program. Also, Spencer and White had met with Missouri Sen. Harry S. Truman who, later as President, ordered the integration of the U.S. Air Force in 1948. Spencer is recognized in the Barron Hilton Pioneers of Flight Gallery at the Smithsonian’s National Air and Space Museum where his flight jacket, helmet and goggles are on display.